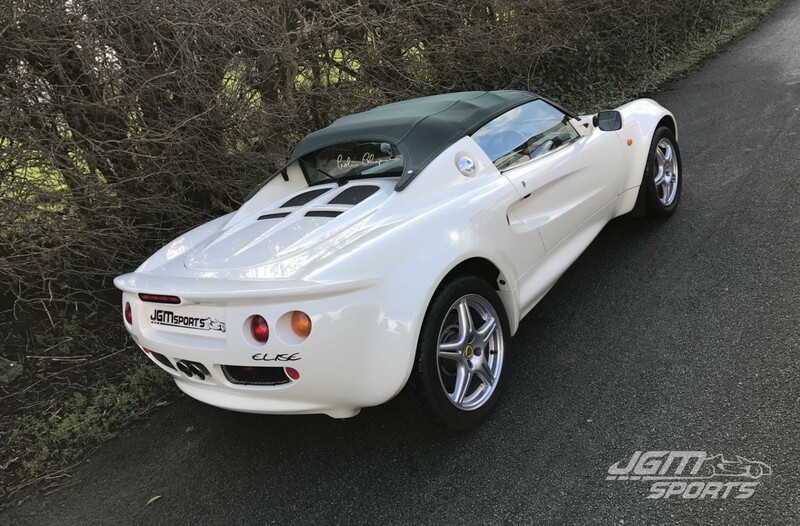 Very rare factory (B71) Old English White Elise. Original owners booklet, every MOT from new, all V5’s including the very original, recent sales invoice from Paul Matty Sportscars Ltd, basically a folder full of paper work. Good service history with the service book fully stamped! 1998 848 miles – Frost’s Cars Ltd – After sales service. 1999 4,403 miles – Frost’s Cars Ltd – A service. 2000 6,194 miles – Frost’s Cars Ltd – A service. 2001 7,389 miles – Frost’s Cars Ltd – B service. 2001 7,405 miles – MOT. 2002 9,111 miles – Frost’s Cars Ltd – A service. 2002 9,123 miles – MOT. 2003 11,417 miles – Frost’s Cars Ltd – A service. 2003 11,428 miles – MOT. 2004 13,358 miles – MOT. 2005 15,221 miles – MOT. 2006 17,674 miles – MOT. 2006 18,358 miles – Paul Matty Sportscars Ltd – A service. 2007 21,079 miles – MOT. 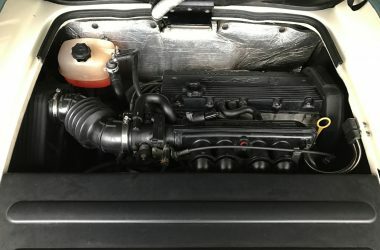 2009 23,320 miles – MOT. 2010 ??,??? 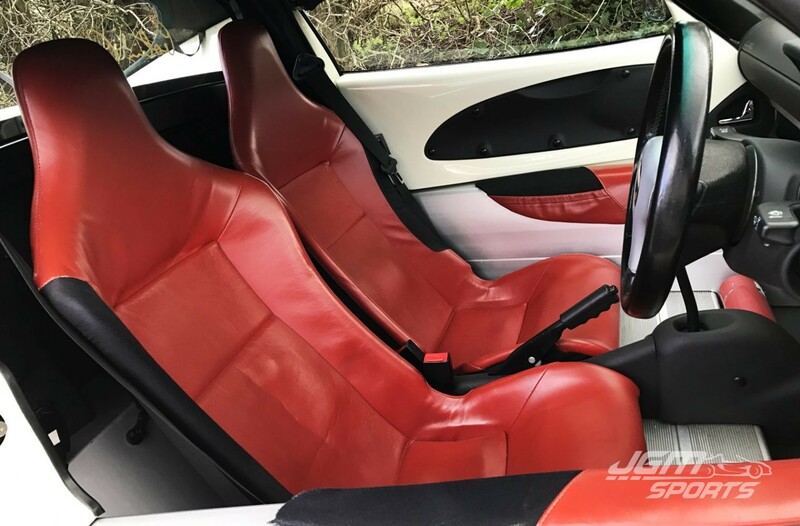 miles – Paul Matty Sportscars Ltd – New radiator and fan. 2010 24,909 miles – MOT. 2011 27,791 miles – MOT. 2012 30,330 miles – MOT. 2013 30,909 miles – Paul Matty Sportscars Ltd – C service (cambelt). 2013 30,909 miles – MOT. 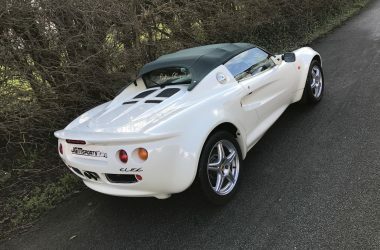 2013 31,293 miles – Paul Matty Sportscars Ltd – B service. 2014 31,293 miles – MOT. 2015 36,588 miles – MOT. 2015 36,787 miles – Crossroads Garage Ltd – A service. 2015 37,742 miles – Mansfield Engine Centre – Head gasket (cambelt). 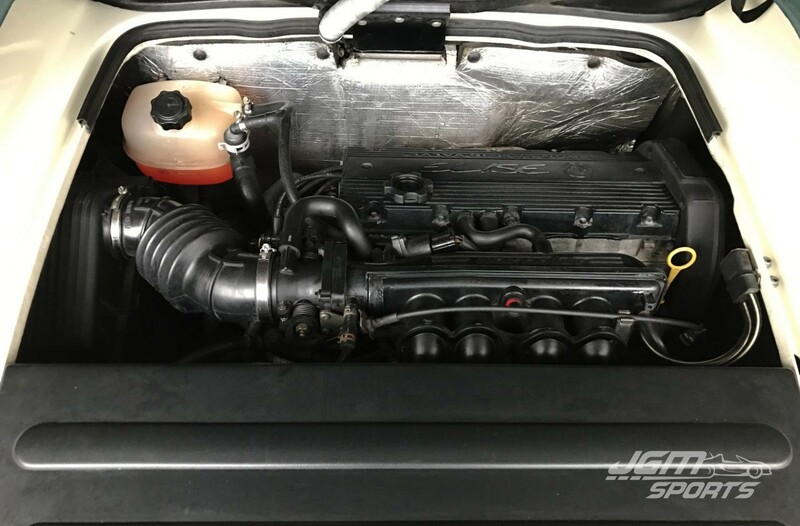 2016 39,202 miles – Shark Performance Tuning – A service. 2016 39,357 miles – MOT. 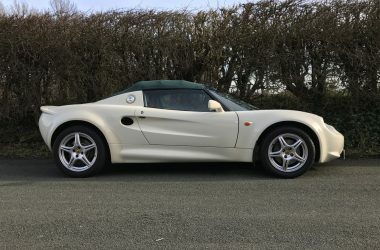 This Elise is ready to go with a recent head gasket/cambelt/water pump change and a full set of Toyo Proxy T1R tyres all done within the last 3,000 miles. Still running the original much sort after metal matrix composite brakes (MMC). Other than a sports exhaust it is a completely standard car even down to the light weight plastic window winders. Factory red leather interior all in excellent condition, no wear to the drivers seat. There isn’t a single scratch on the dash and it has the very rare radio delete single piece dash insert. Green soft top again in excellent condition. Drives fantastic just how an S1 should. The whole car is in pristine condition not far off factory fresh. Being such a rare colour, MMC brakes, low miles, pristine condition and virtually factory standard this Elise is a great investment opportunity or one to add to the collection.